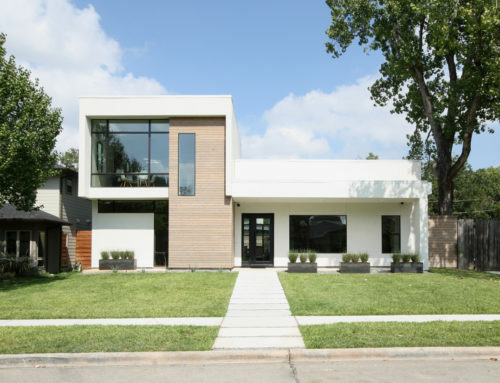 Eckxstudio designed this large interpretation of the modern farmhouse architectural style in 2016. 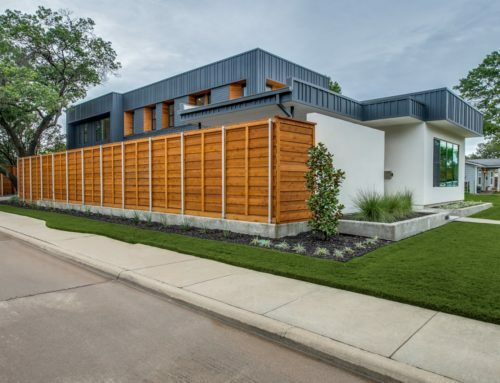 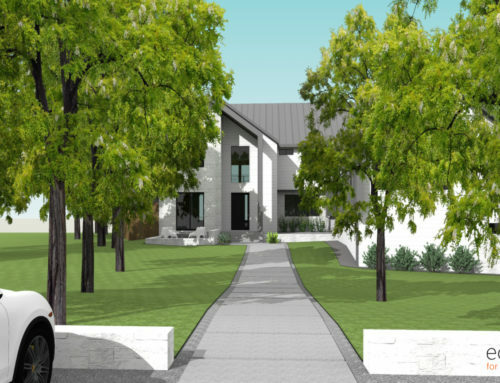 The exterior of the home borrows stone and board-and-batten siding from the Texas vernacular but we put a more modern spin on the materials’ forms with thin battens and dark stone instead of traditional Texas limestone. 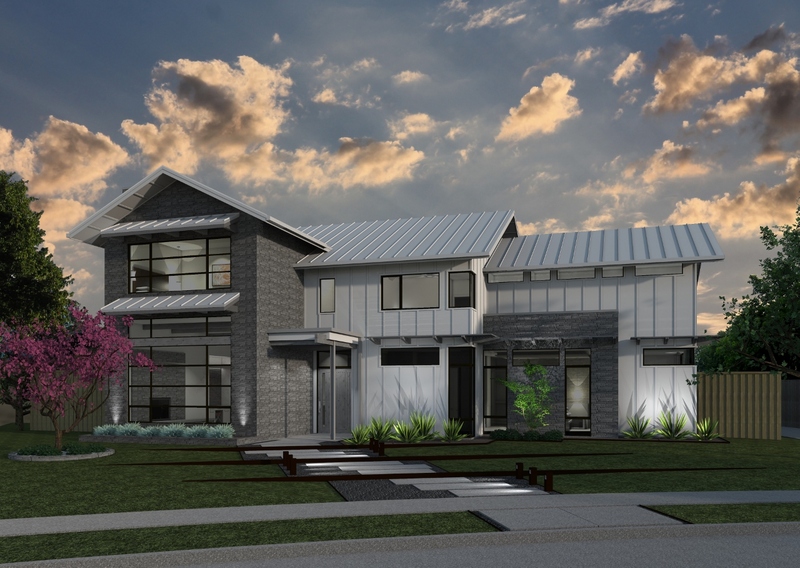 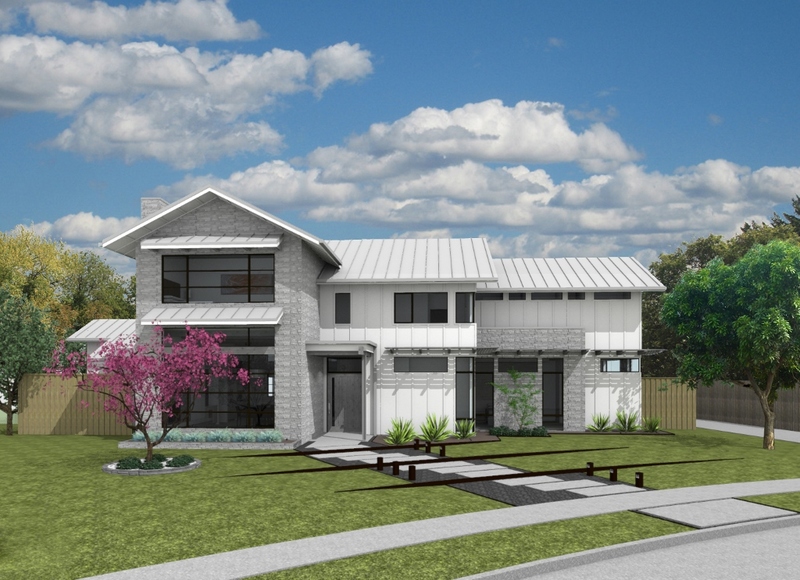 A standing-seam metal roof tops the house further adding to the farmhouse nod. 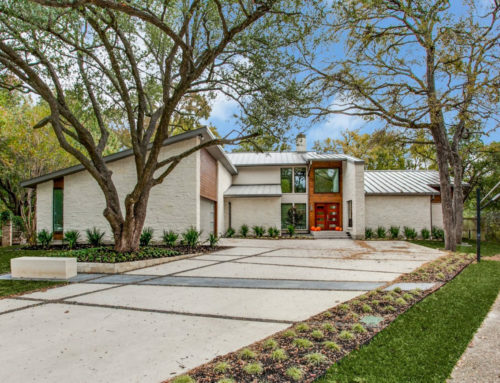 Inside, a modern and spacious approach was designed for the owners and their children, and the main living room volume extends from the front of the house to the back through the kitchen with a tall 13′ ceiling trimmed out with rustic beams and smooth drywall.